Useful properties of asparagus were known in ancient times and a favorite food of pharaohs and Romans believed that they keep from cursing table and act particularly beneficial to the nervous system. In Ancient Greece even been preferred as a powerful aphrodisiac. Their shape resembles a phallus, and their age is approximately 2,000 years ago. In the 18th century Louis XIV rediscovered them and makes them popular again (after their rise even in ancient times). To date, the main countries conducting trade with this vegetable are the USA, Mexico, Peru, Spain and France. Highly valued in Germany and Scandinavia and the Netherlands. 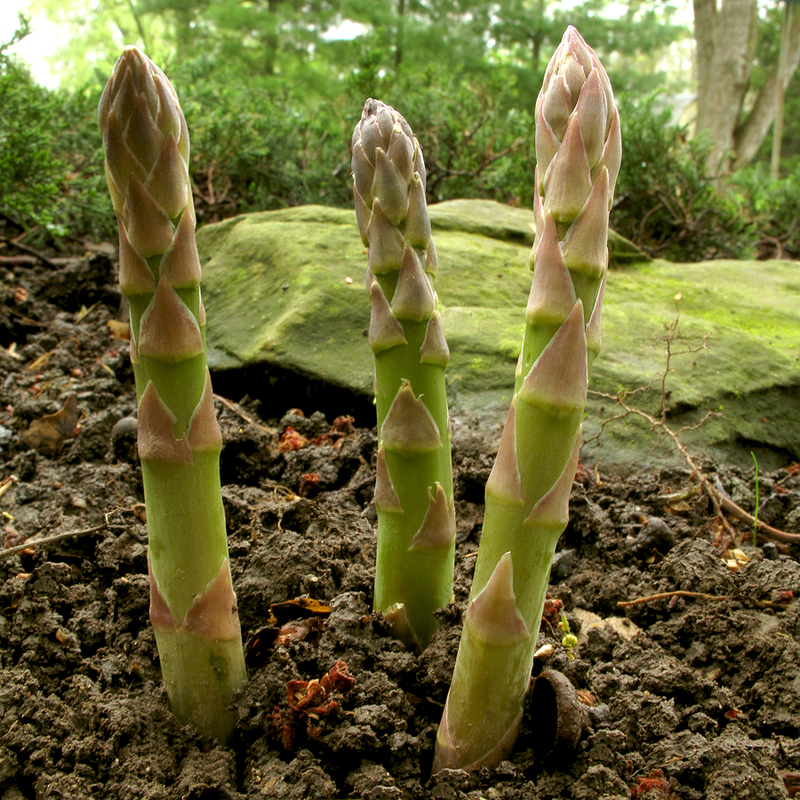 Asparagus is a perennial plant with high requirements for soil and food. The white asparagus are the most expensive. They grow underground, which owe their color. They have very specific taste and is usually preserved, zya to preserve freshness and gentle color. One of their biggest producers Netherlands. Violet are much smaller in size, but their taste is sweetish more than vegetable. They contain anthocyanins that we know are particularly useful substances – strong antioxidants, struggling with the aging of cells, chronic fatigue and more. Green asparagus has a pronounced flavor. Long reach no more than 15 centimeters. Their main producers are France and Italy. There are real delicacy that is made many different dishes. What this so unknown in our vegetable? 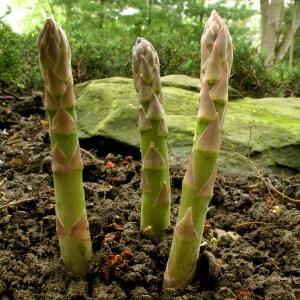 Asparagus is rich in dietary fibers, vegetable proteins, manganese, copper, sodium, iron, potassium and calcium. More vitamins K, C, A, B1, B2, B3 and B6. And after all these wonderful ingredients should add negligible amount calories – in 200 grams are only about 45. Diet, delicious and good for health – what more can we want? “They have a tonic effect because the ingredient tryptophan, one of the” raw materials “for the organic synthesis of serotonin.” They are rich in antioxidants, strengthen bones, reducing the levels of bad cholesterol, with strong diuretic action – particularly useful for improving kidney function, positively influences liver function – protect against toxins, storing in it. Have anti-inflammatory and antifungal properties. It is claimed that even relieve severe hangovers. It is important to mention, however, and their damages: contains asparagine and purines is an amino acid, in which larger quantities of irritating the stomach lining. Purines it is compounds which contain nitrogen. These concerns, and uric acid. When the accumulation of purines accumulate salts of uric acid in tissues, joints and vessels, which leads to the disease gout. Sulfur in the asparagus is not harmful, but in the processing of her kidneys remove sulfur compounds and emits urine smell. 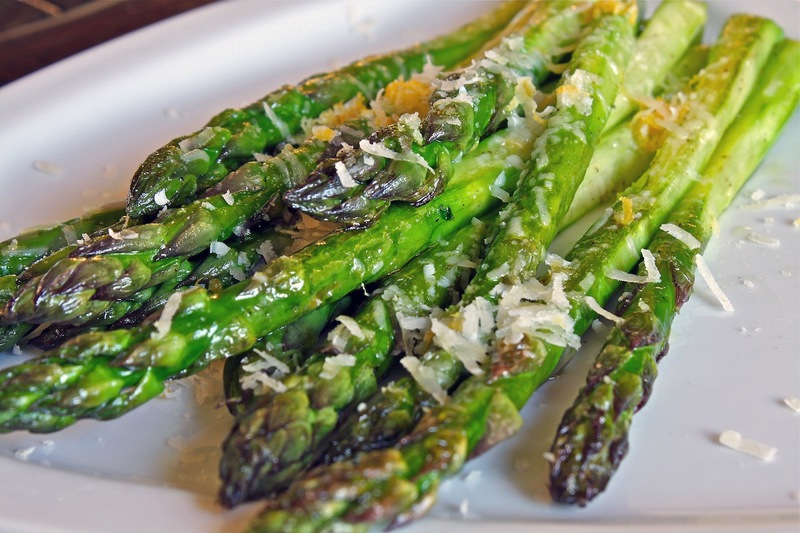 What should follow when choosing asparagus? It is recommended that the green part of them equals white and brittle. Be smooth and solid rods with no big dalzhina- that are longer does not mean that eating more will, but in contrary will have to remove most of them. Are normally bright green or cream-colored white – yellowish color is a sign of old vegetable. How to store asparagus? Thing about asparagus is that we leave them for seven or eight months in the freezer without infringing taste qualities. In the refrigerator, but this vegetable lasts up to three days and then covered with a damp cloth. 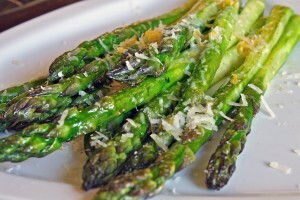 How to cook asparagus? Recipes will find many and various easiest to cook blanched and salad in various combinations. What we best combine taste like asparagus for the main course are melted butter, cream sauce, mustard sauce vinaigrette and blue cheese. lighter meats and fish. Especially nice are obtained simply steamed with olive oil. Like in combinations with seafood – especially delicacies such as salmon, shrimp, octopus. You can prepare a soup or lamb, and why not with tomatoes on the grill. You’ll love and wanting more.